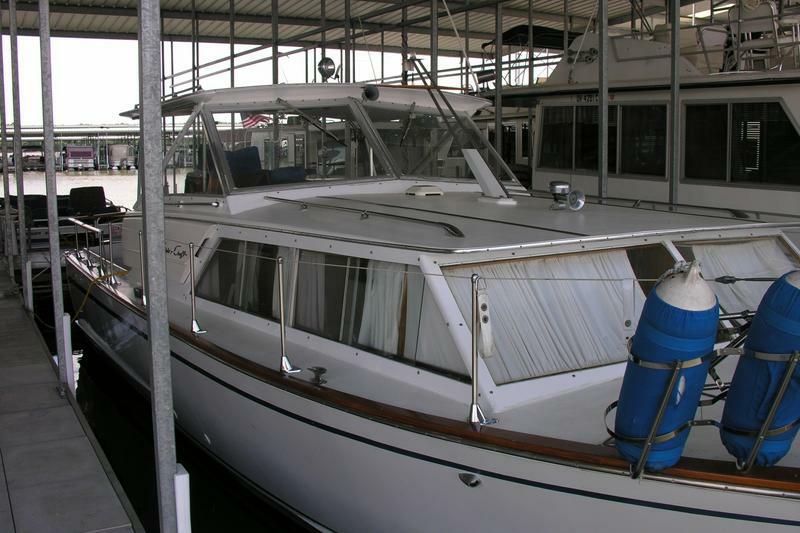 Owner is replacing rotted deck structural support, and white oak ski pole support. 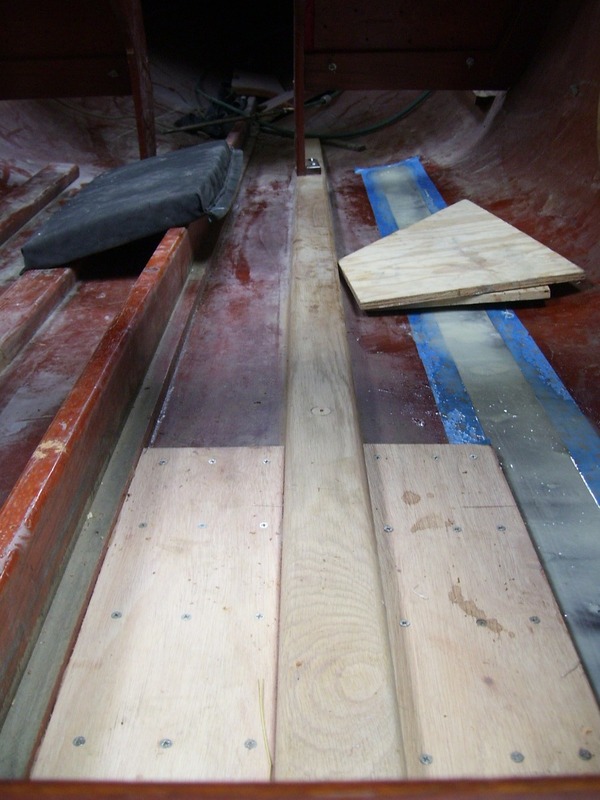 Woodies also evaluated condition of keel and hull penetration reinforcements. (which were fine). 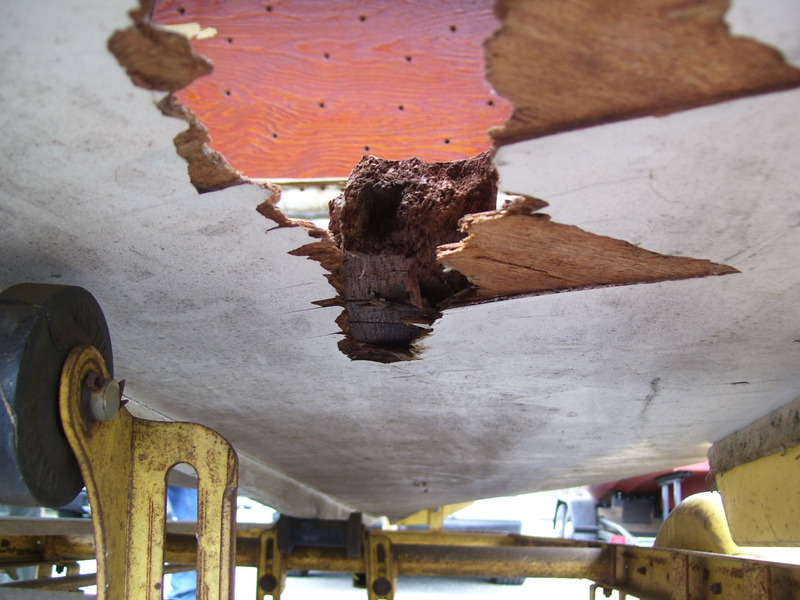 Woodies did find where propeller shaft had rubbed and worn away a portion of the shaft log. Click on image to see a page with more photos. 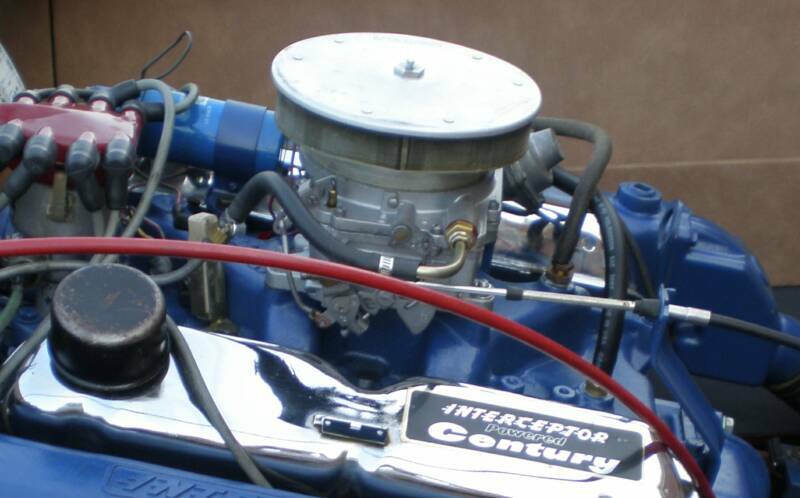 Just wanted to tell you how much I appreciate all of your help in locating the original Carter AFB carburetor for my 1968 Century Cheetah. It really was like finding a needle in a haystack! Not only did you locate the carburetor for me you also engineered the modifications on my new non-original manifold to work with the carburetor. What a difference it has made. 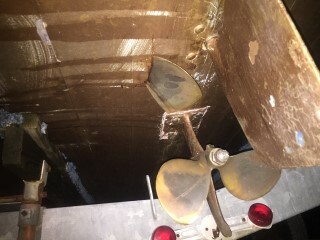 My boat starts the first time every time with no smoke or soot and really jumps out of the hole like never before. 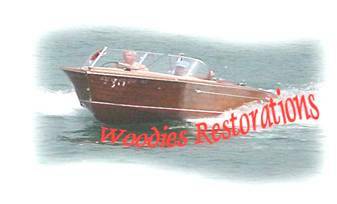 Woodies Restorations makes boating fun! Thanks again Paul! 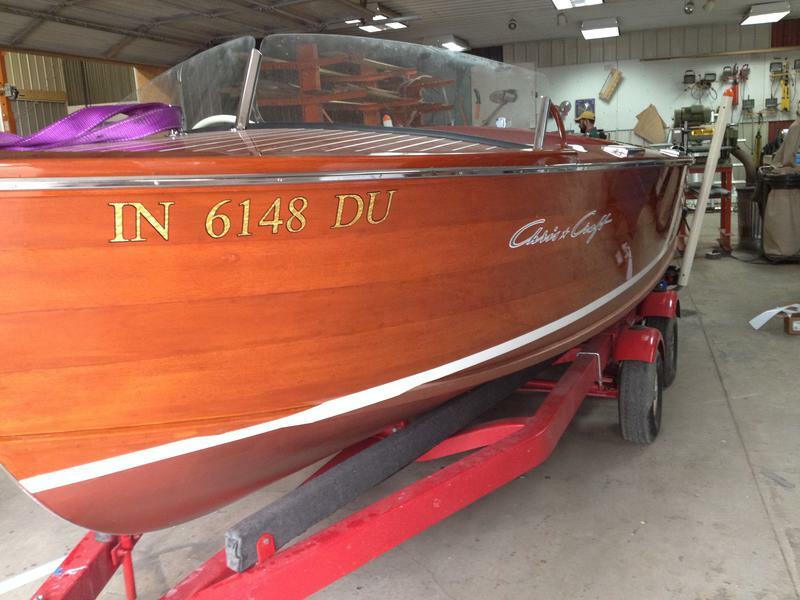 This boat has been owned by the same family since new in 1949! 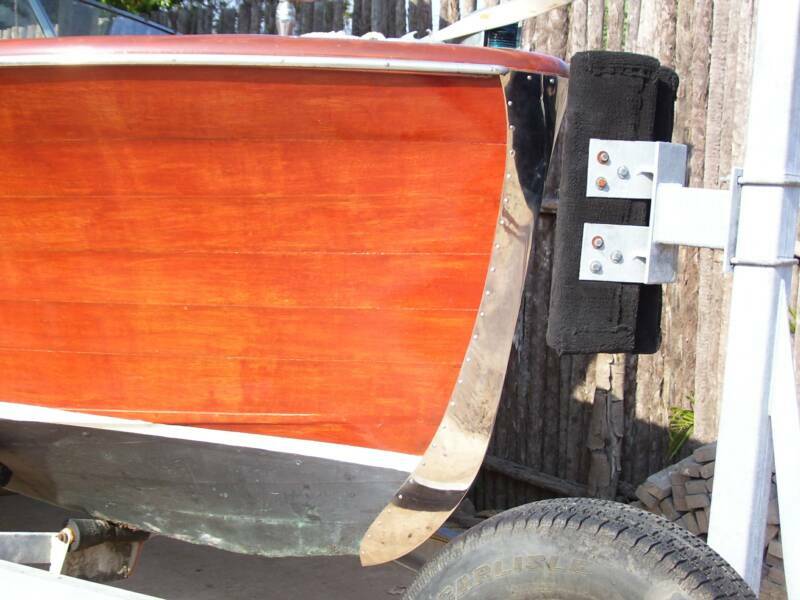 See the before and after pictures of the brackets - we do buffing of stainless and aluminum. 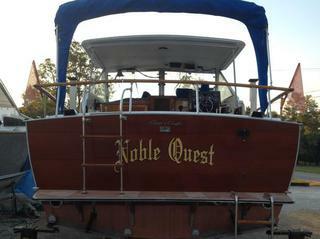 This boat was rescued from a renter with a "SPIRITual" problem. 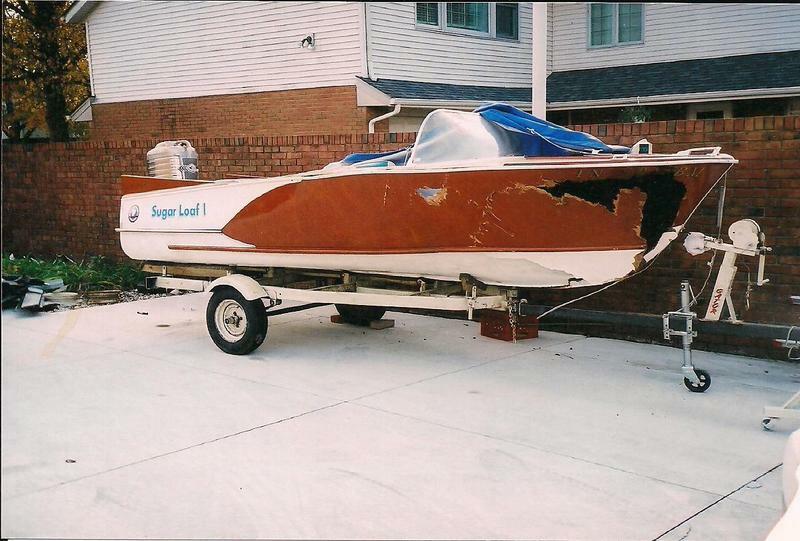 The landlords watched in disbelief and horror as the boat deteriorated from pristine condition to its current state. The boat was sunk and stored out back in the Cudsew for years before the renter eventually turned it over to the landlords. 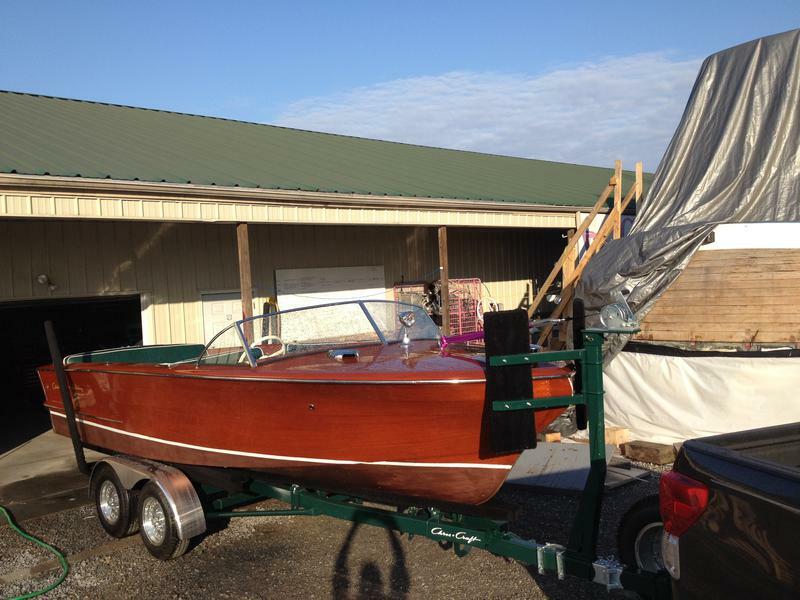 Woodies will do a partial restoration with the owner completing the restoration. 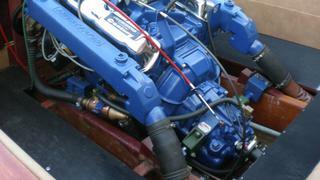 Engine Detailing with Woodies own 550 degree CC blue paint! 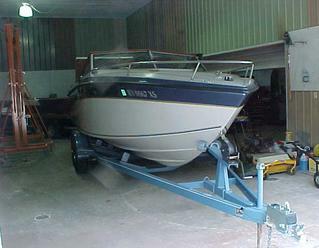 align water pump, change pump impeller, test instrument panel, test and tune engine. 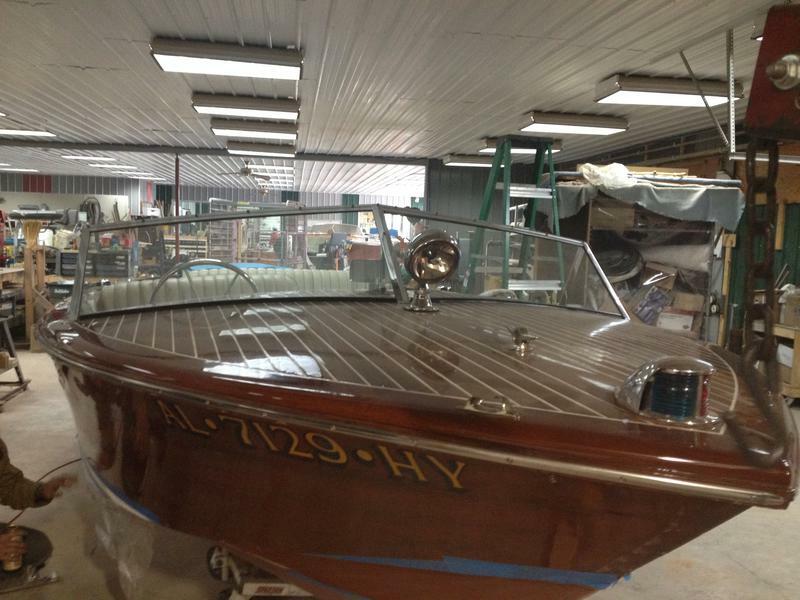 Transom refinished, Custom Swim Platform and mounts Fabricated and Installed. 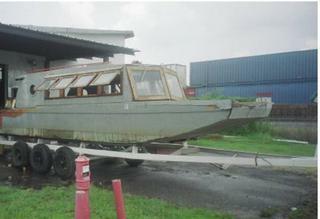 This boat was purchased on E-Bay by its current owner. He is the third owner, the second owner only had it for a few months. 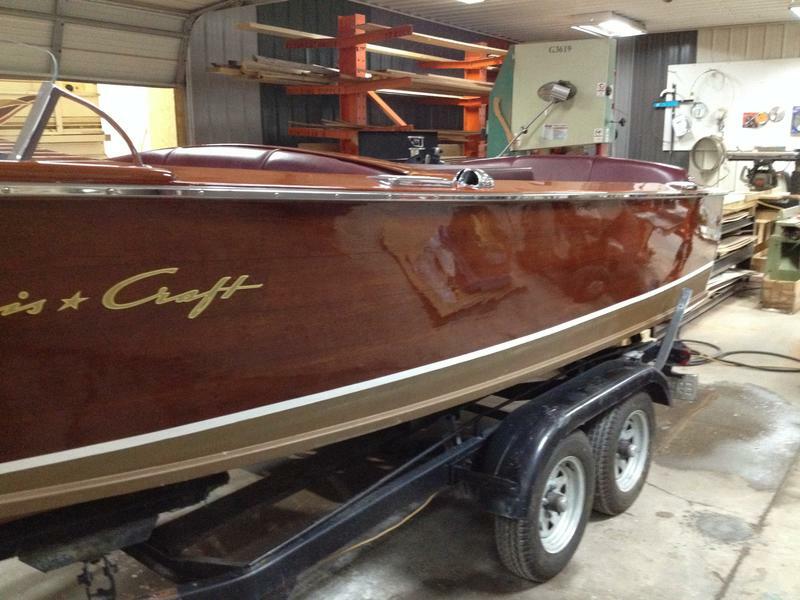 The customer is using our consulting services and purchasing his supplies for the refinishing of this boat. 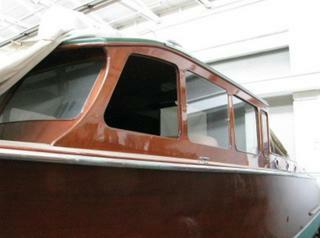 The hull appears to be in very good shape and only cosmetic restoration is required. Wagemakers had a very easy to understand model number. 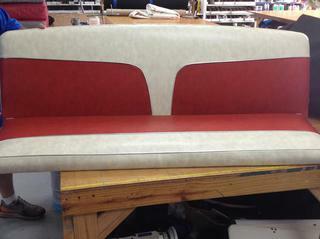 This model is a 41454 or model #4, 14 foot, 1954. 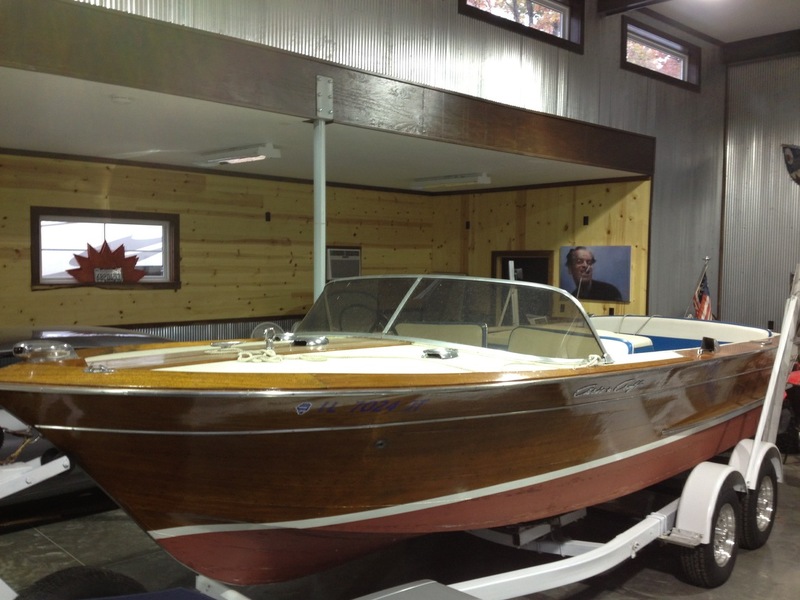 This model was called the Super Deluxe. 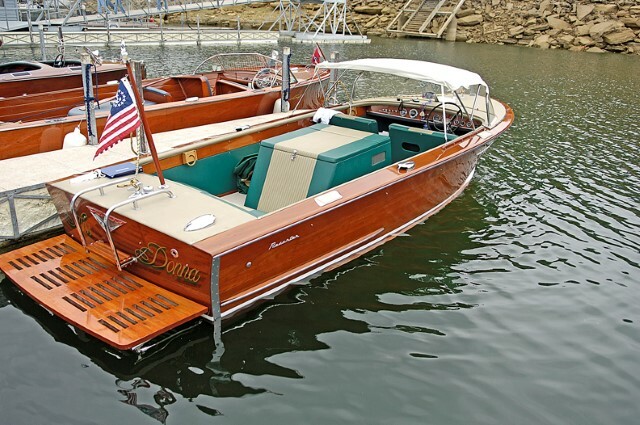 It has genuine Mahogany decks. 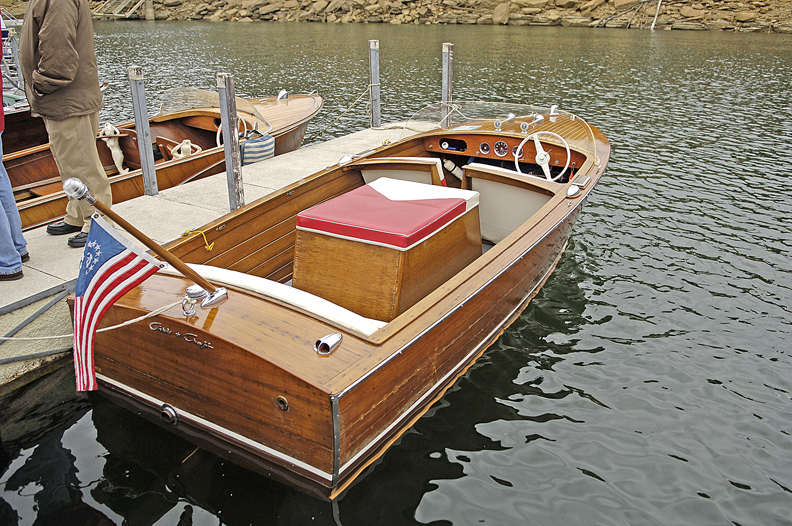 Wagemaker made small boats from about 1931 through 1960, closing when the plant burned in 1960 as pretty much everything was lost. 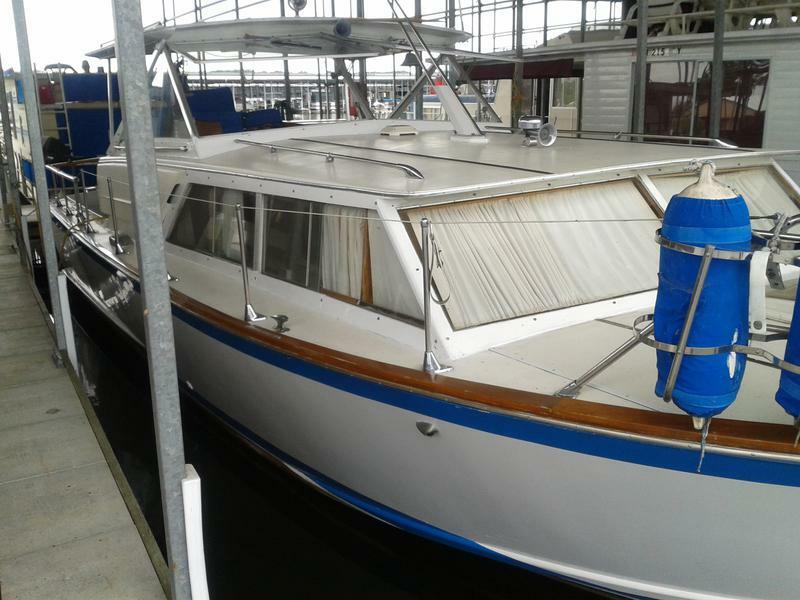 The owner will be keeping us updated with progress pictures. Let me start by thanking you for your help last Wednesday. 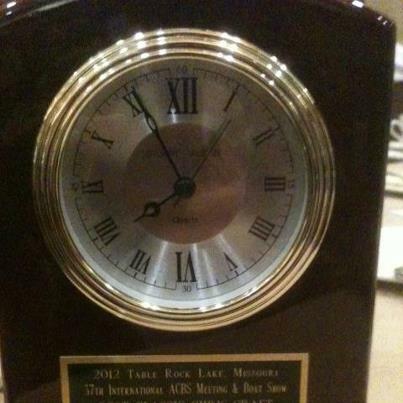 I’m guessing the time we spent talking and your research saved me about $1,500 on this project. 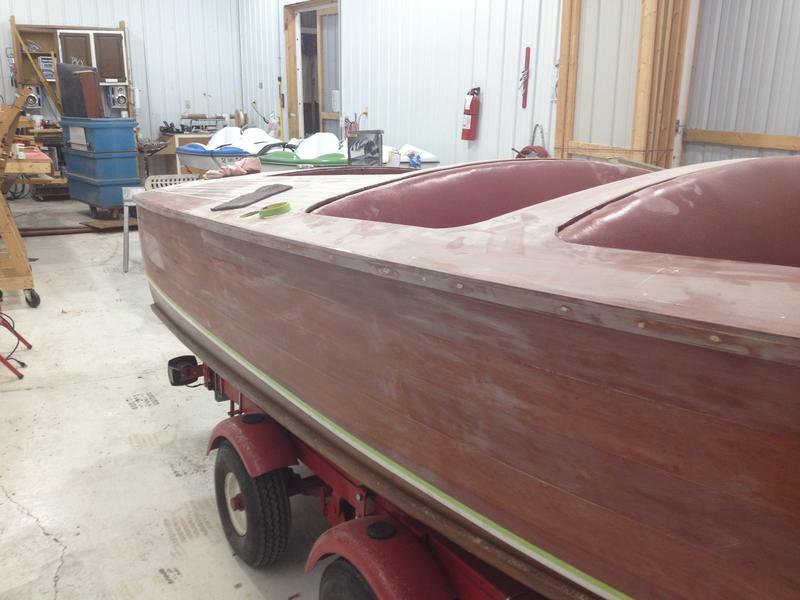 I started working on the boat Thursday, Jan. 11. 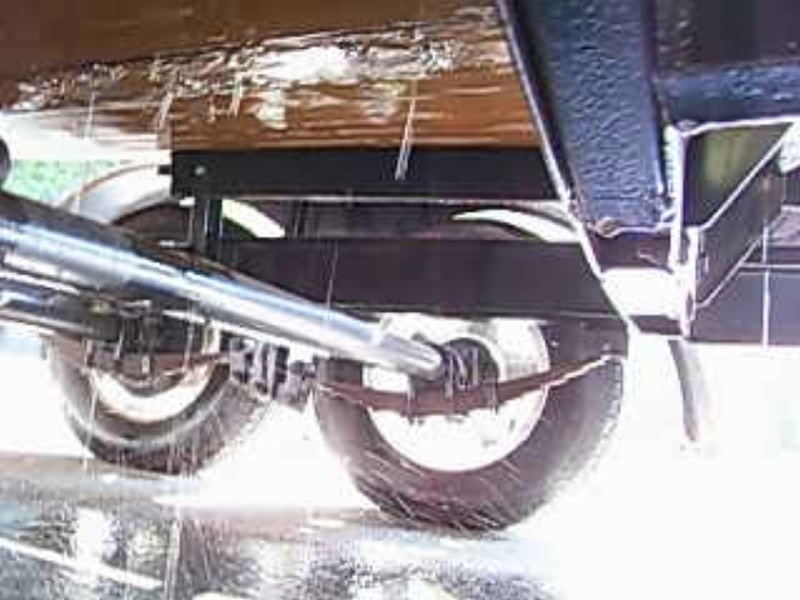 It is stripped to the spray rails on each side. 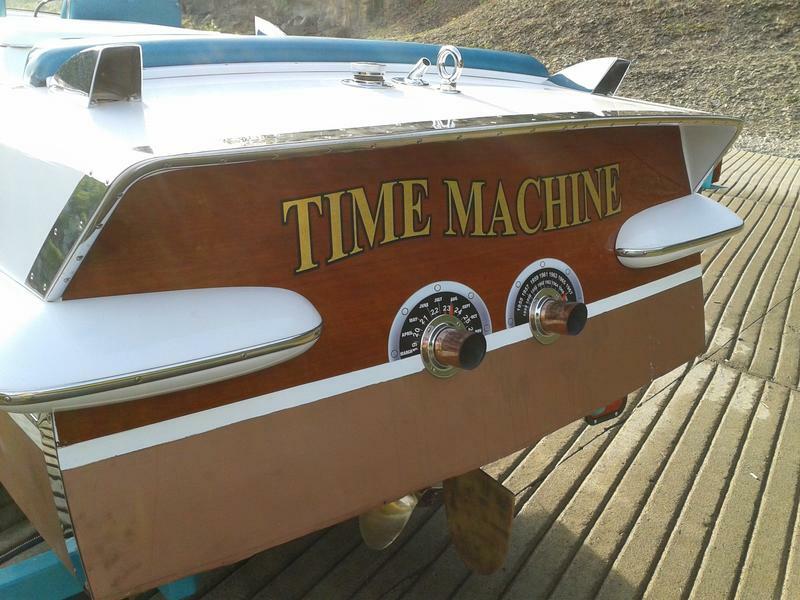 I have about 10-12 hours of work time in the boat to date. I tried sending pictures with this message but the file came back undeliverable (must have been too big). 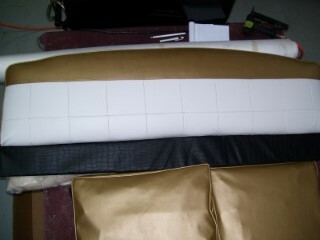 I made contact with Robert Shapton and will order the decals and hat today. 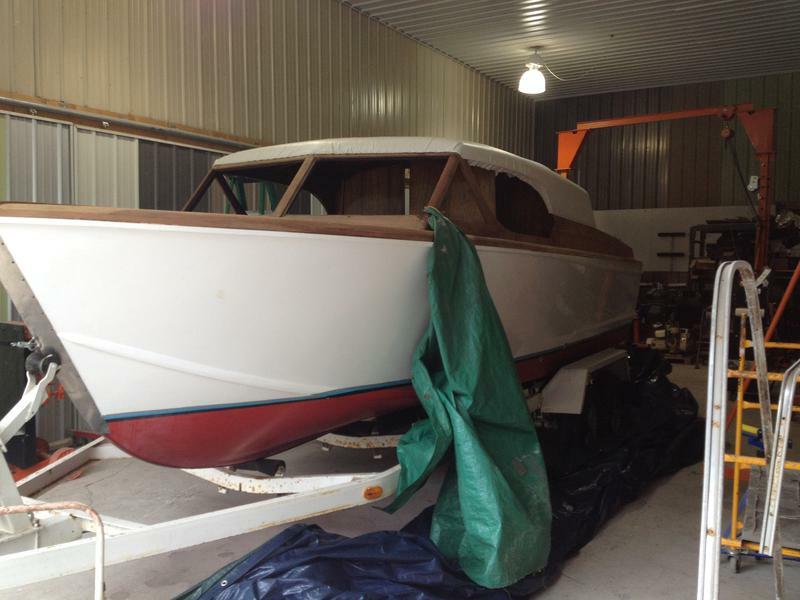 I found out that the motor that came with the boat (1953 Johnson Seahorse 25 hp) is locked up. However, the man working on it has a power-head from a 1955 that he tells me will interchange. So, there was some good news with the bad. 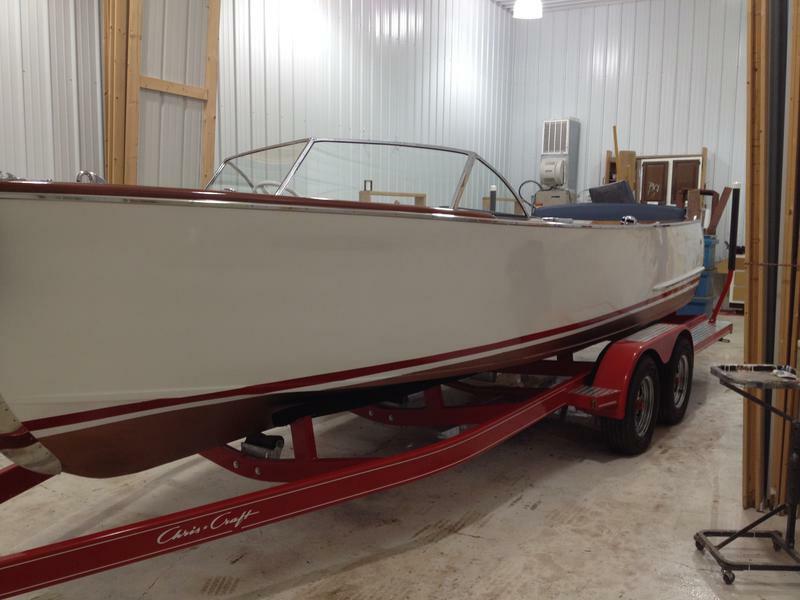 If progress continues as it has, I will have the boat in the water by spring. I will keep you updated. 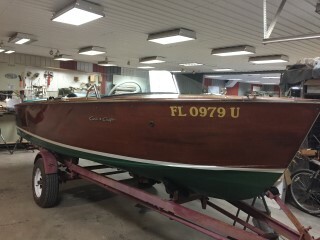 Woodies is providing consulting for an 8 person crew that are currently working on this boat. 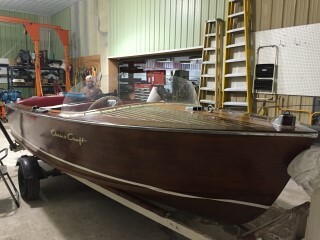 This crew will prepare the boat for a new bottom and we'll go out to Arkansas to help the crew progress towards assembly of the bottom. 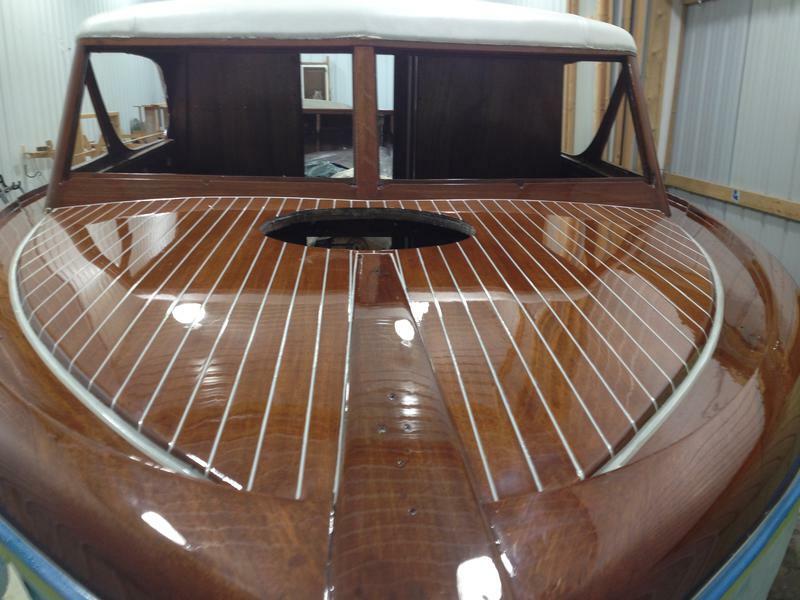 This cruiser hull is in fantastic shape with an essentially DRY BILGE! 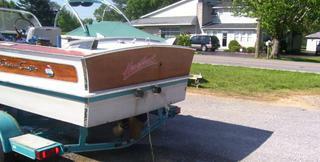 This boat is scheduled into our show next week to begin some above the water line rot repair. 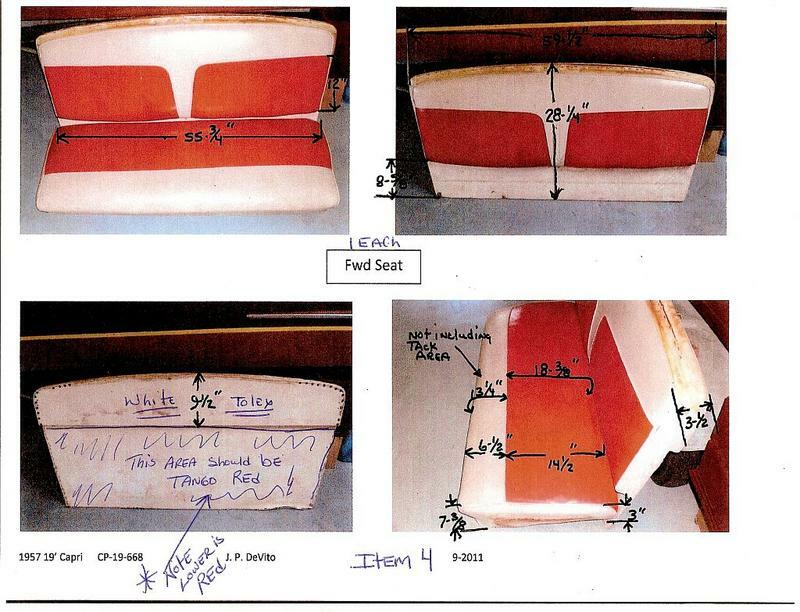 As you will see in the pictures on its own page, there is just a little rot under the rub rail and some rot in the front deck of the boat under the vinyl. 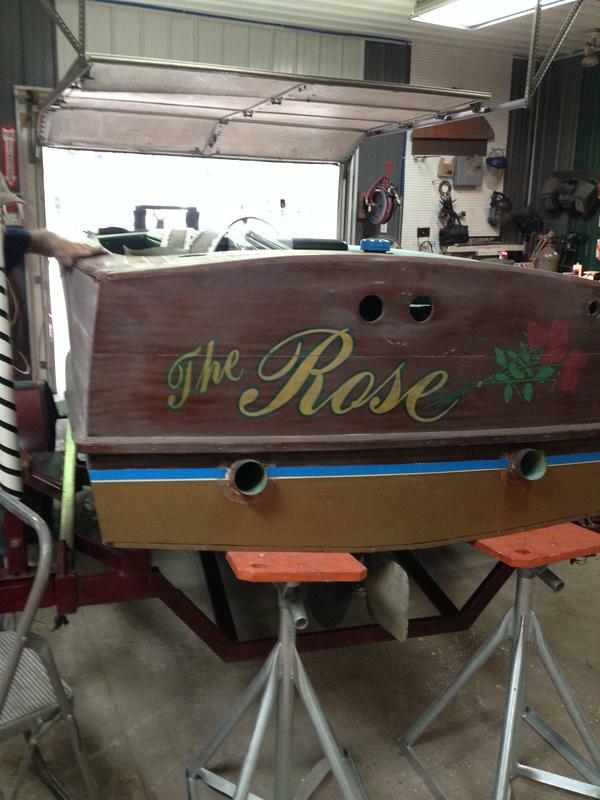 Once the rotted wood is replaced we will paint the entire hull. 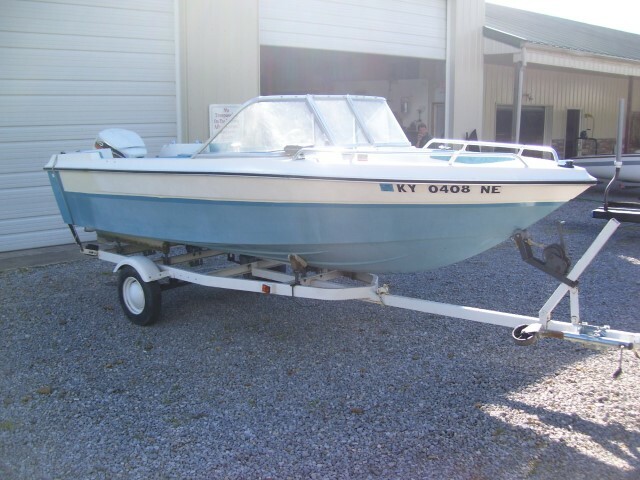 This is a great example of a well maintained boat with great value. 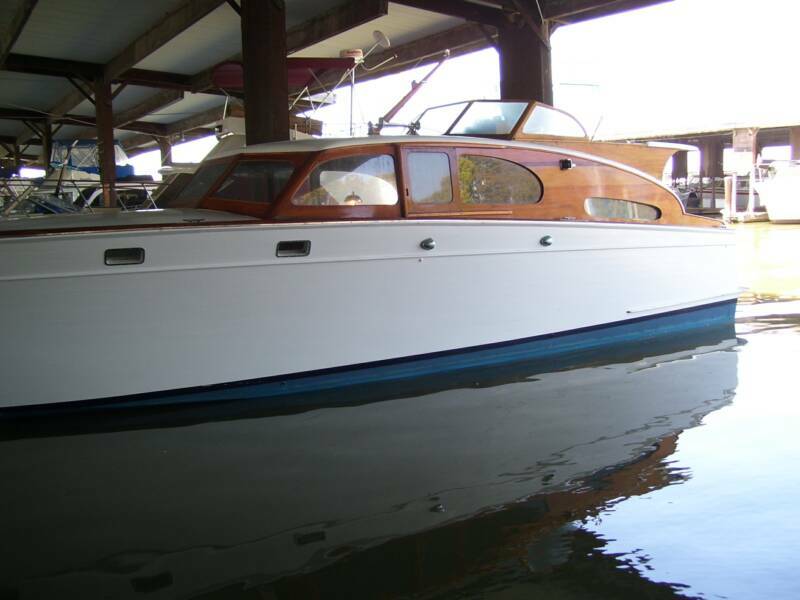 The owner has had the engines replaced and we will be performing a tune up on the port engine in addition to the wood work and painting. 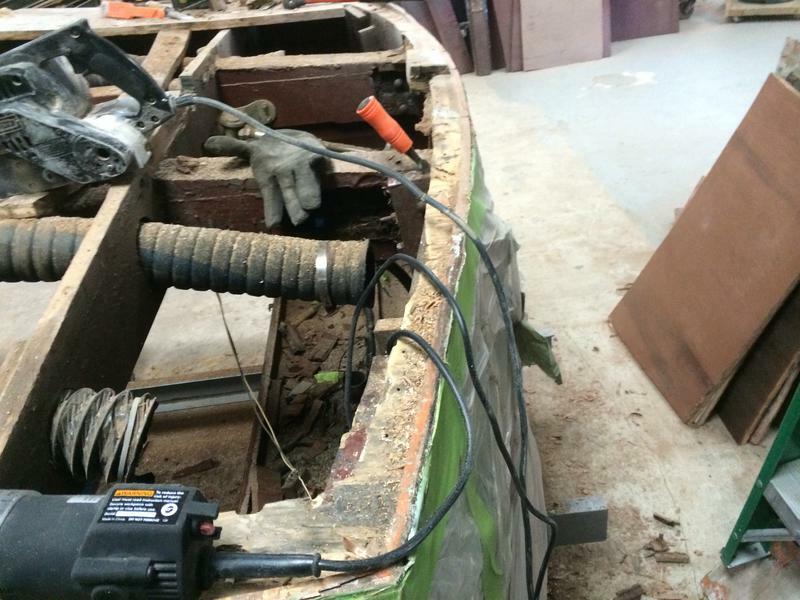 Occasionally we get a request from our good customers to do some work that is outside of our normal comfort Zone. We have instructed the owners 15 year old son on how to remove decals, wet sand, and use filler to fair out the dings and scratches. We then shot it with a yellow filler primer and a House of Kolor 3 part paint system base sealer coat. This coat will be lightly scuffed, and a second coat of base applied, then a metallic base coat applied and finished off with several coats of clear coat. All coats with a flex reducer added to the paint to reduce cracking that results from the hard use these things get. 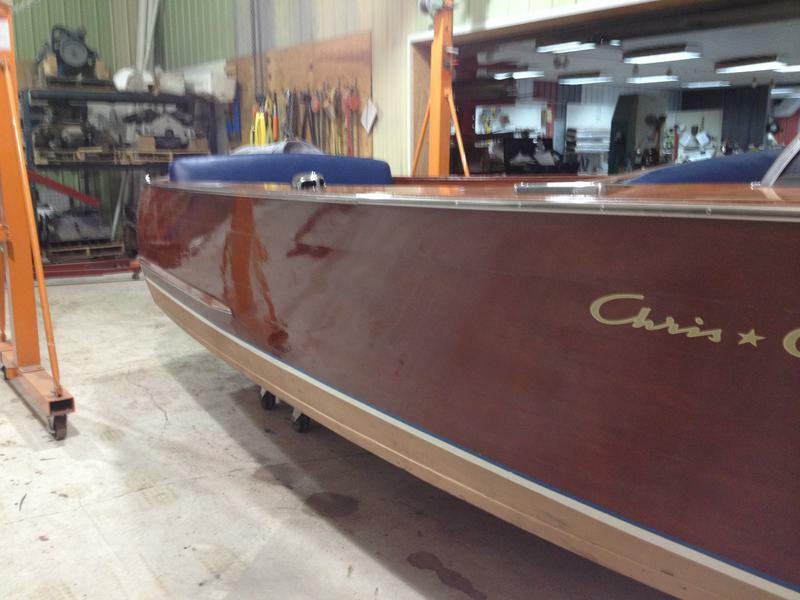 Chines and planks for 1960 24' Sportsman! 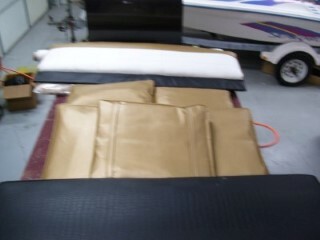 Here we are duplicating chines that had already been removed from the boat by the customer. 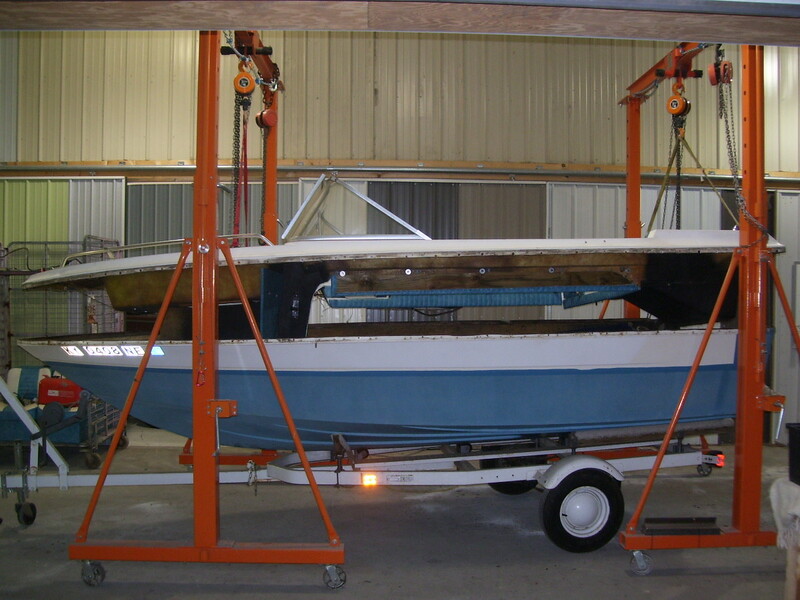 It is a bit slower process than duplication while installed on the boat, however, when the time and effort to rotate the boat is taken into consideration, this method may save the customer some time overall. Pictured are the old chines clamped to the new blanks that have to have the rabbets for the planks completed before shipment. 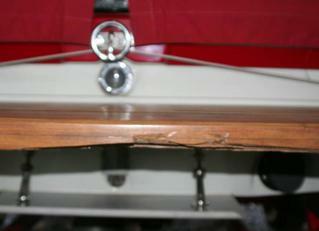 Note the scarf joint in the close up picture.... hard to see the scarf joint? GOOD! Just in case you see clouds in the paint in the picture to the far left..... you're right! Now look at the picture to the immediate left..... TREES and CLOUDS IN THE SKY! is what you are looking at! AND OH BY THE WAY, that is my reflection while taking the picture above the red arrow! This is a trailer that came in held together with rust. This little jewel is complete with tilting section and working tilt mechanism. 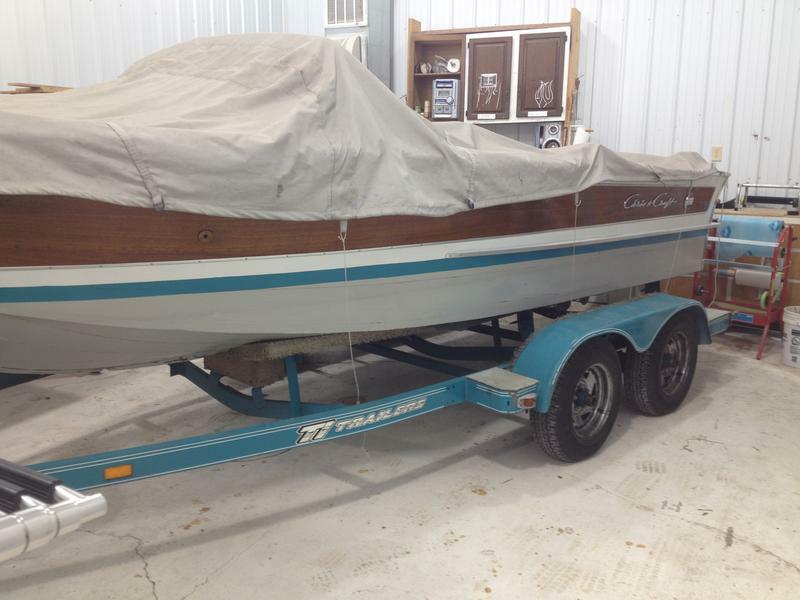 The trailer and wheels were sandblasted, and painted. A new light wiring harness was also added. 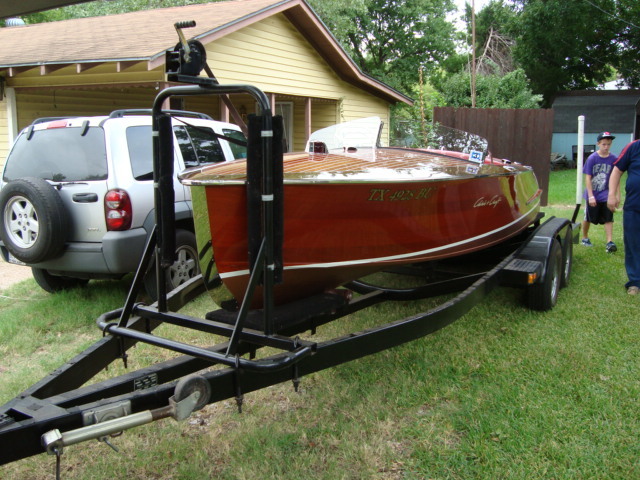 This is a less expensive alternative to a new trailer when the appearance of the old trailer is objectionable, but the functionality is fine. 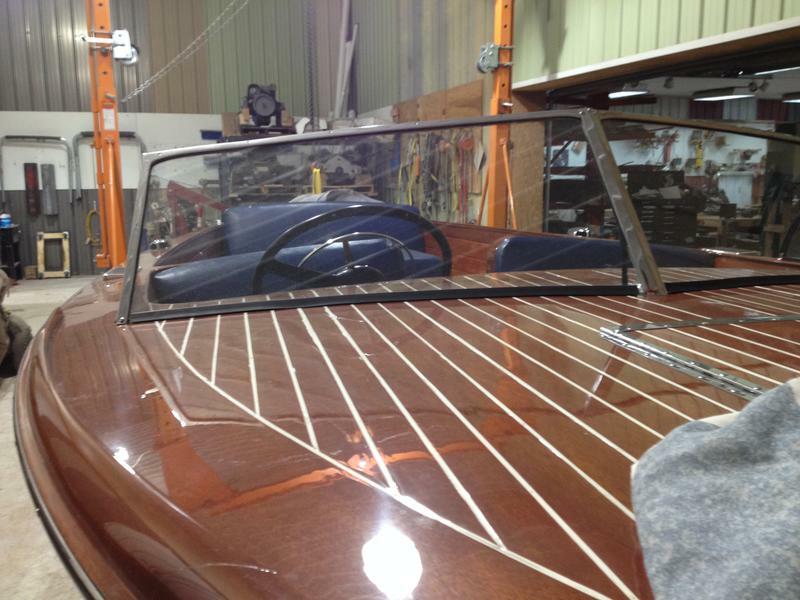 Parts Duplication - Woodies will be duplicating parts for this 1951 Sportsman that is being completed by another restorer. 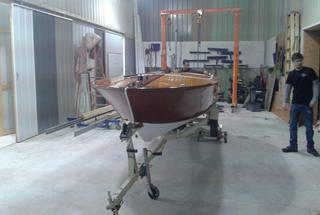 Many deck parts and planks will be duplicated. 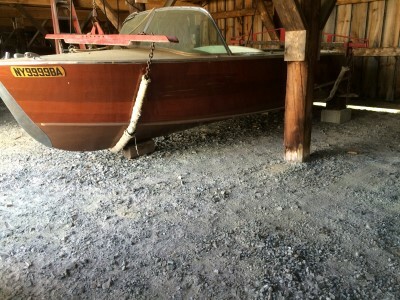 When the platform was damaged by a worker moving a boat in a local boat shop. 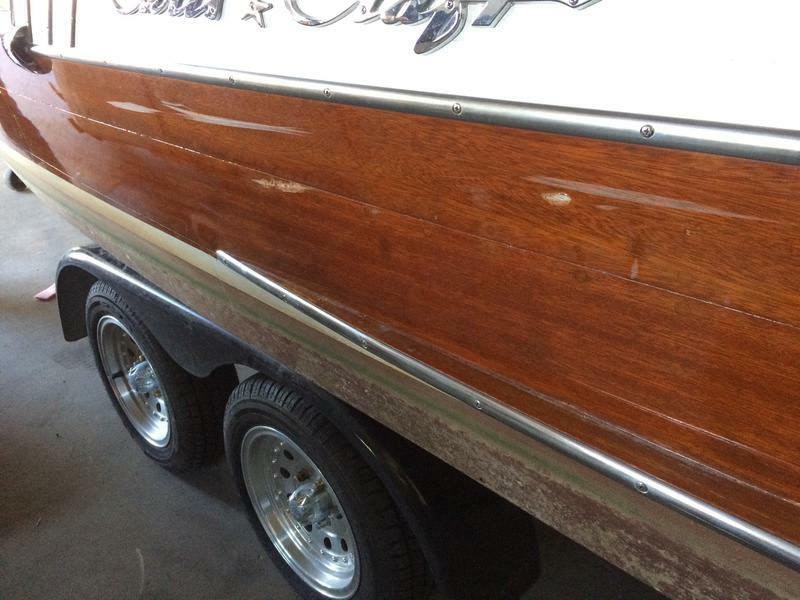 They called on Woodies Restorations to make it right! 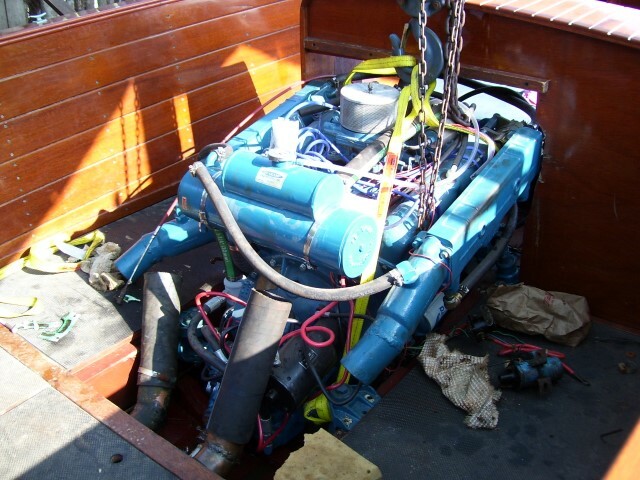 Chrysler 318 Marine engine for 1950 Chris Craft 22 foot Sporstman! 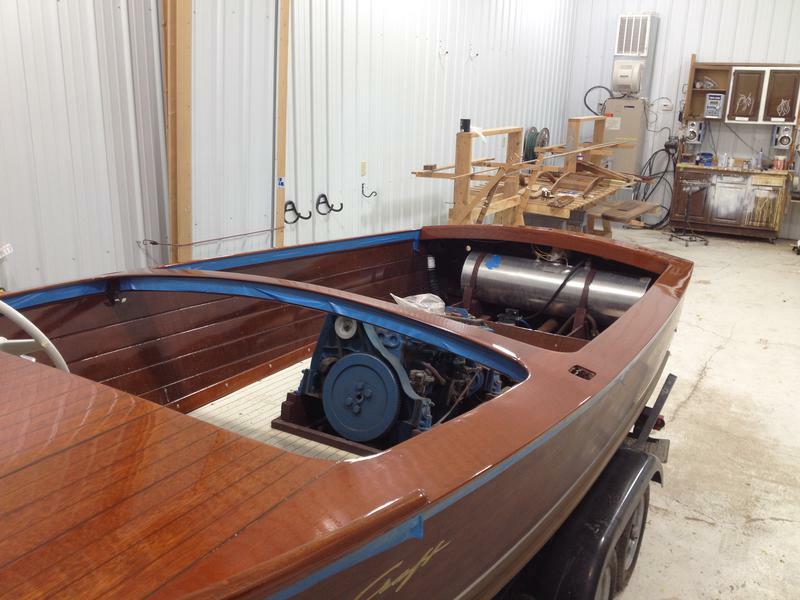 A new cutwater for the 1950 Sportsman. The original is in the center The new one is made of 316 stainless steel. 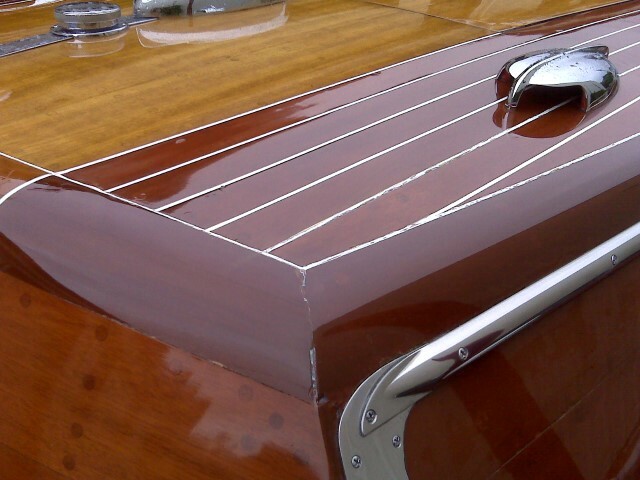 Far superior in salt water resistance to the original material ... 304 stainless steel. 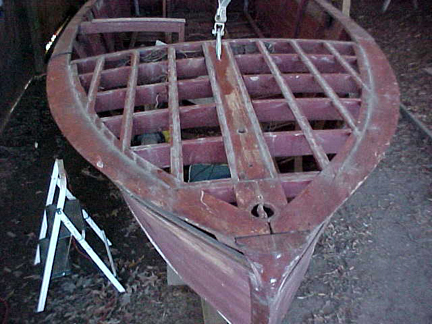 The cutwater on the right is for a sister to the 1950 that was used to confirm the pattern was correct. 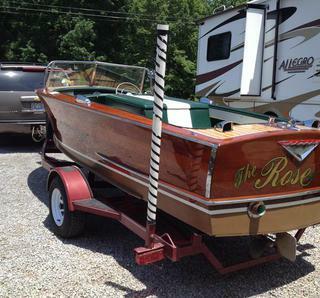 This boat was found in a JUNK YARD and rescued! 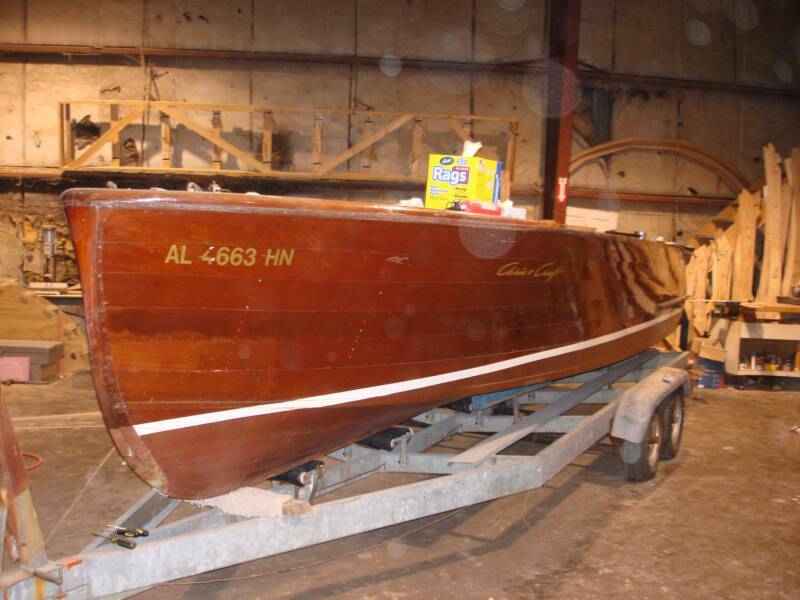 Woodies Restorations is indeed privileged to be selected to restore this fine example of boating History. There were only FOUR Silver Arrows before this one, and according to the Mariners Museum, TWO of them were prototypes, The first production hull (SA-19-001) was shipped to a Motorcycle Company in Charlotte, North Carolina, and the second (SA-19-002) was shipped to the Algonac Lions Club in Algonac Michigan. Could this have been for a raffle? . 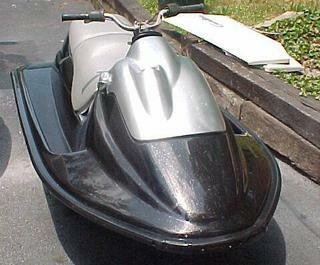 Therefore, this is THE THIRD PRODUCTION SILVER ARROW SOLD. 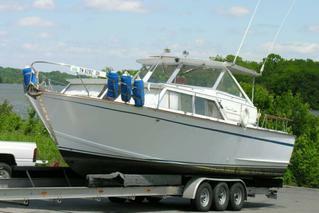 Hull SA-19-003 was originally shipped to a boat dealer in Fort Lauderdale, Florida. Some wood replacement where Raccoons gnawed at the wood. YES! Really!!! 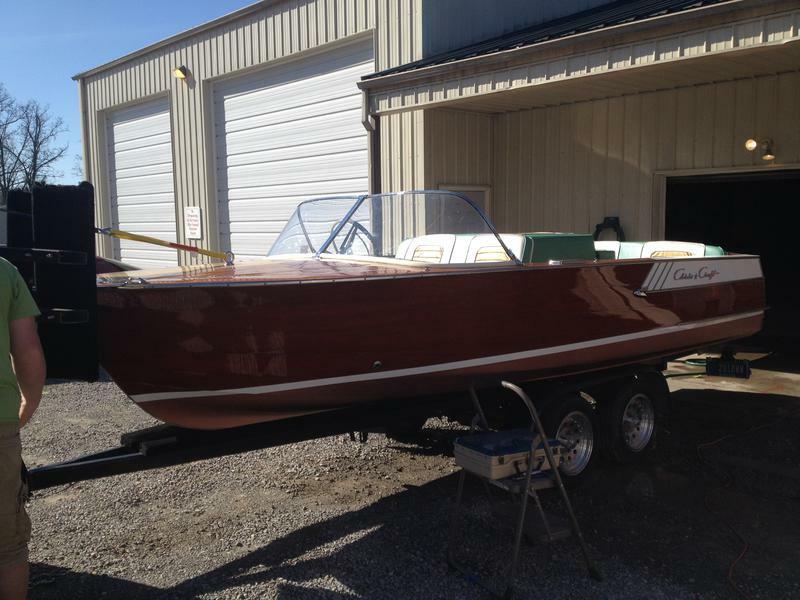 We will be completing the proper restoration of this boat for the owner. 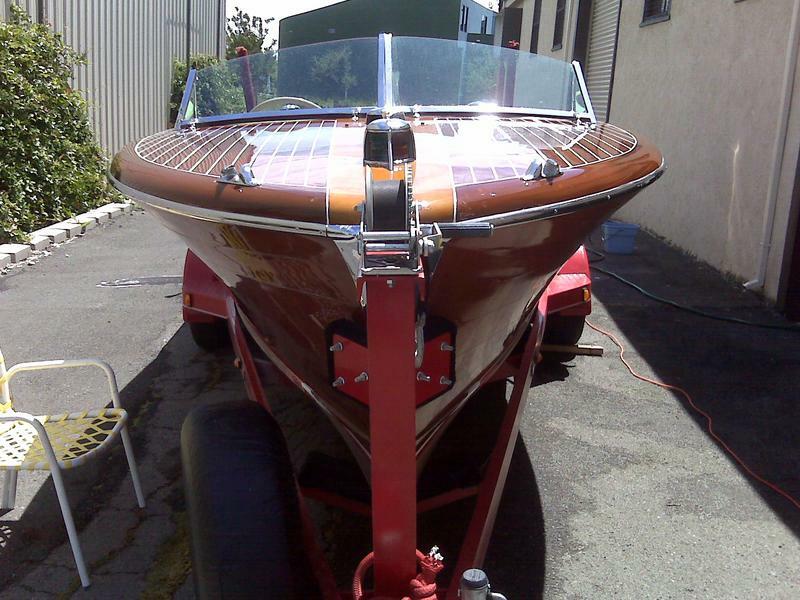 Current plans are for bottom replacement, strip and refinish, a little chrome work and possibly some upholstery work. 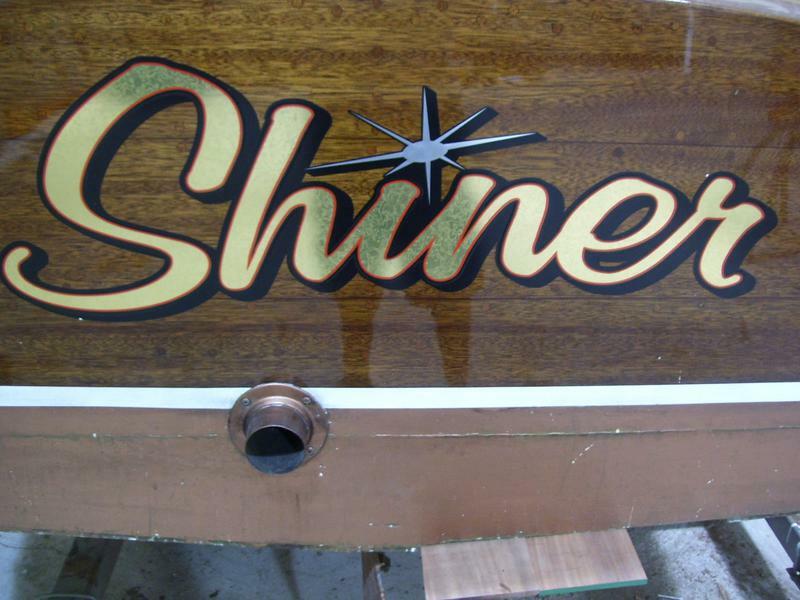 Left is before and right is after buffing process. Port of Vallejo, CA where the work was performed. 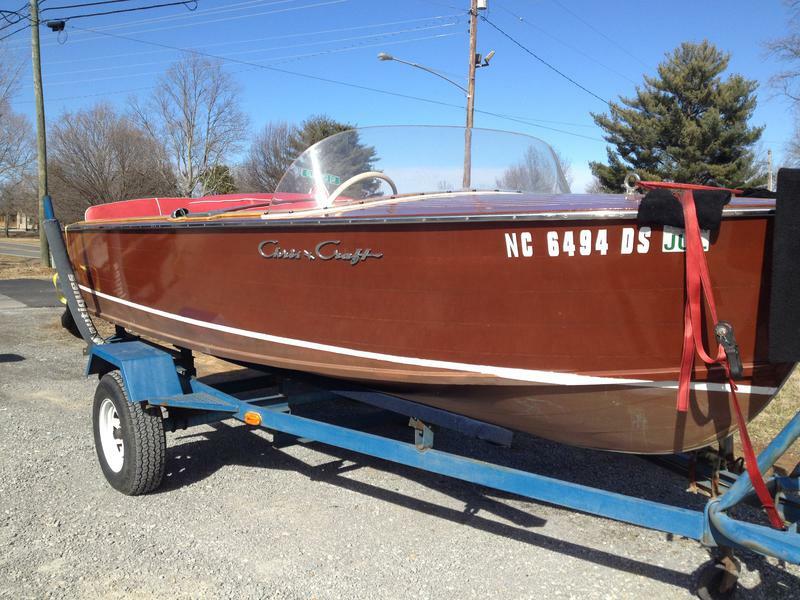 1957 Mac Bay - owned by a descendent of the Mac Bay Company owner! 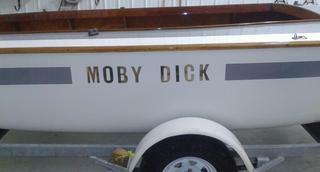 New owner has relocated the boat to Sag Harbor.